Measures 39 by 22 inches when complete and features the artwork of T.C Chiu. 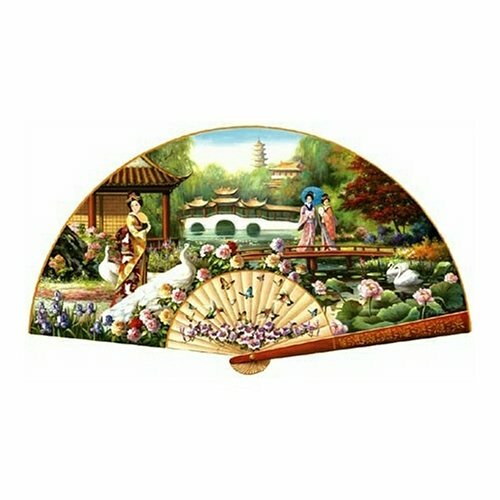 SunsOut Japanese Garden Shaped Jigsaw Puzzle by T. C. Chui 1000p pieces Completed Puzzle Size: 22x39 Inches. Eco-friendly, soy-based inks and recycled board.